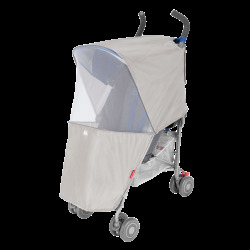 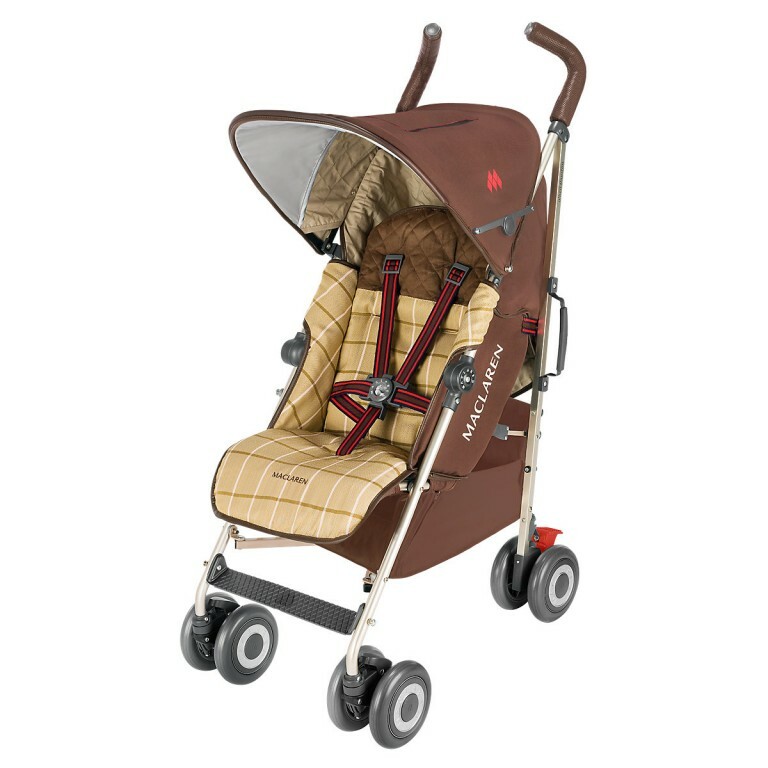 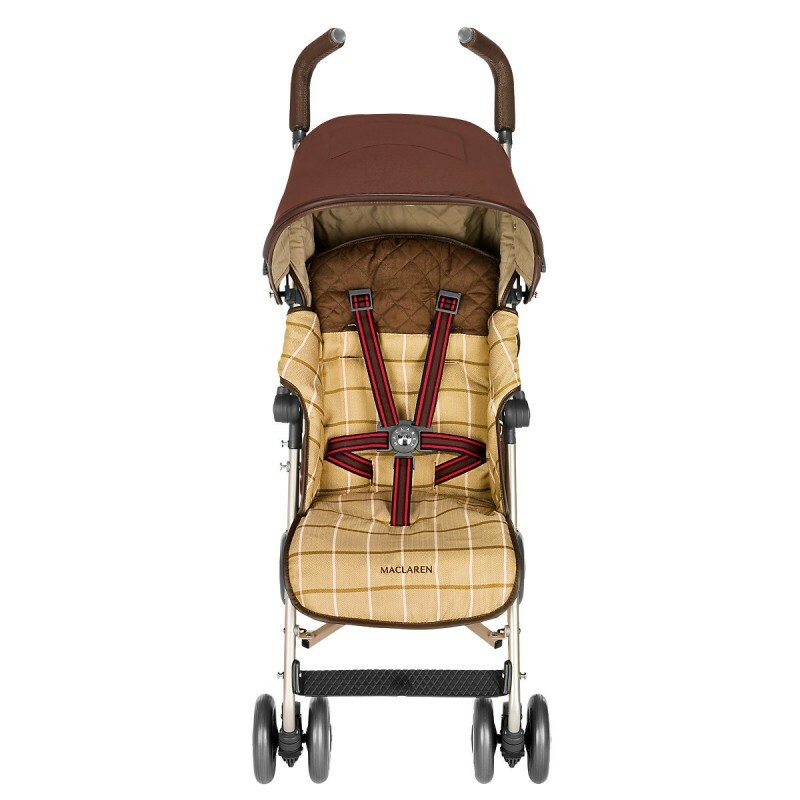 Lightweight and suitable from birth, the Albert Thurston stroller combines luxury details and superior comfort with the features you would expect from a Maclaren. 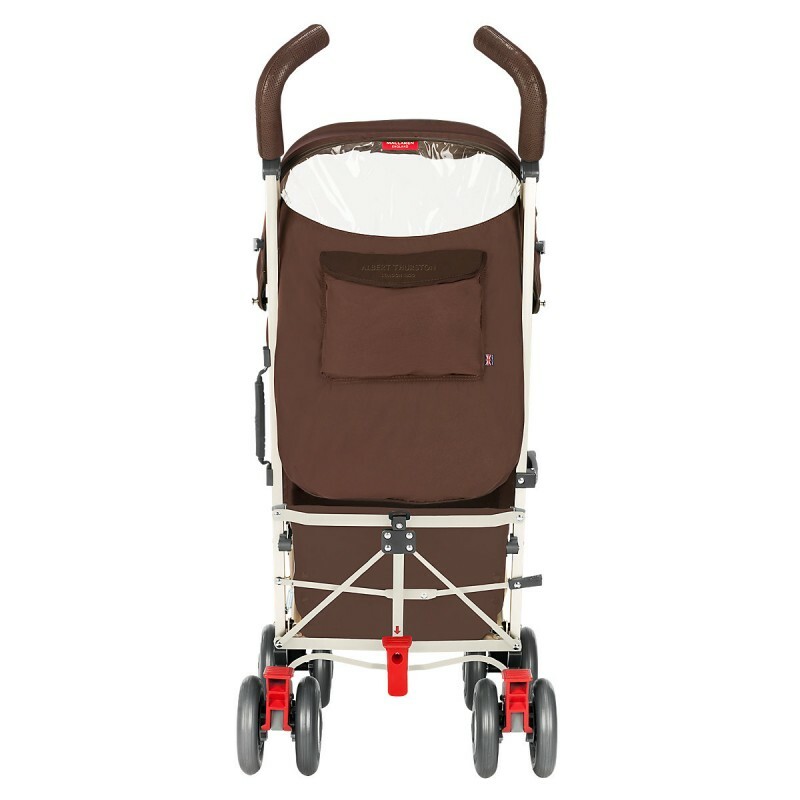 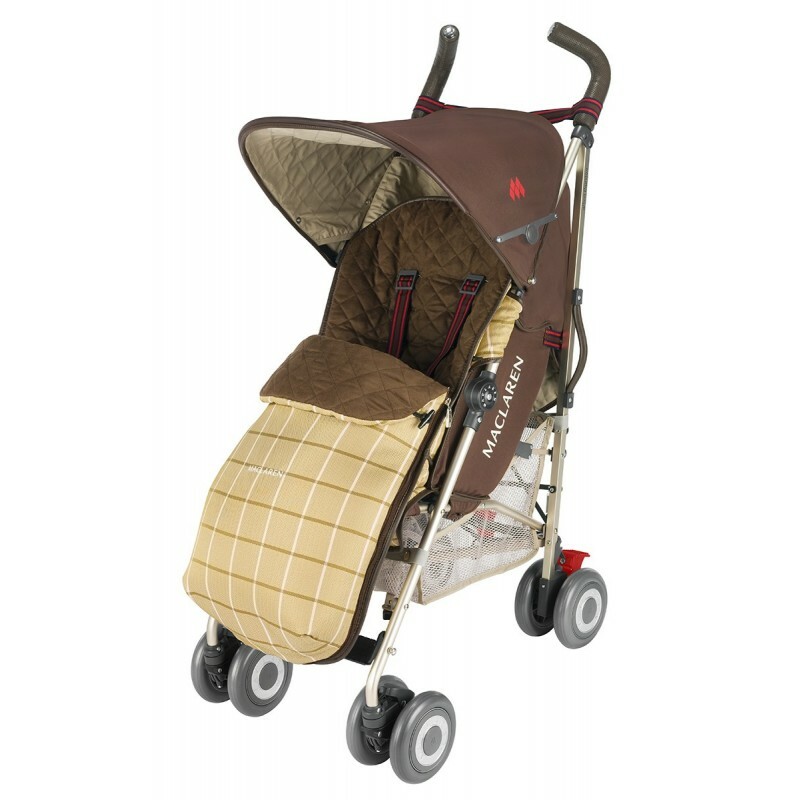 Named for the luxury accessories maker, the Albert Thurston stroller is a Maclaren Object of Design. 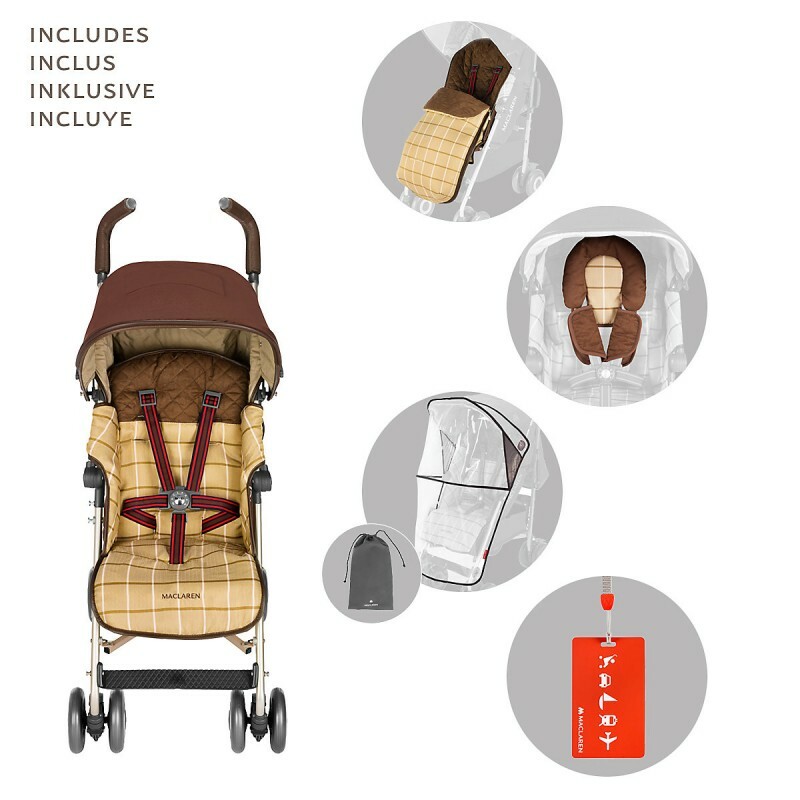 Lightweight and stylish, the 6.3kg/13.9lb stroller offers leather-trim handles, an adjustable leg rest, reclining seat, footmuff in herringbone fabric, and customised harness braces in a classic stripe and a dog print. 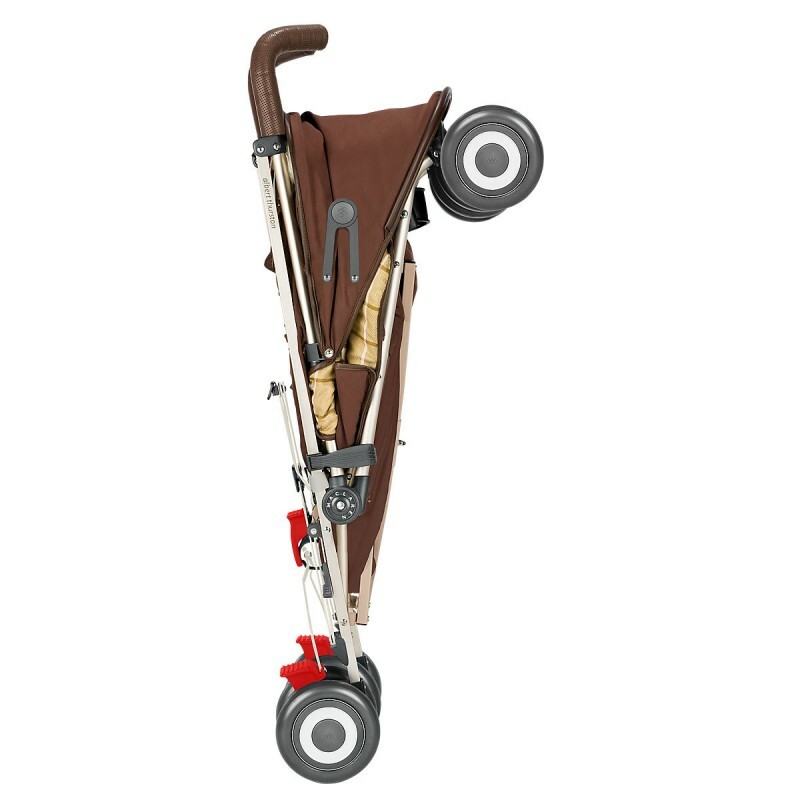 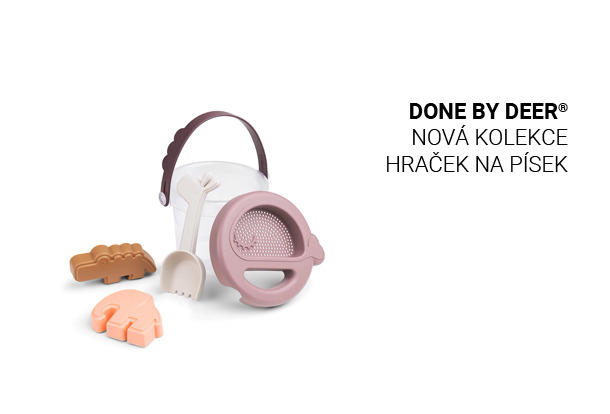 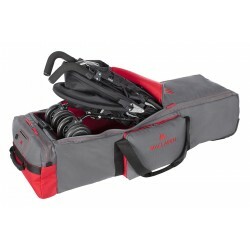 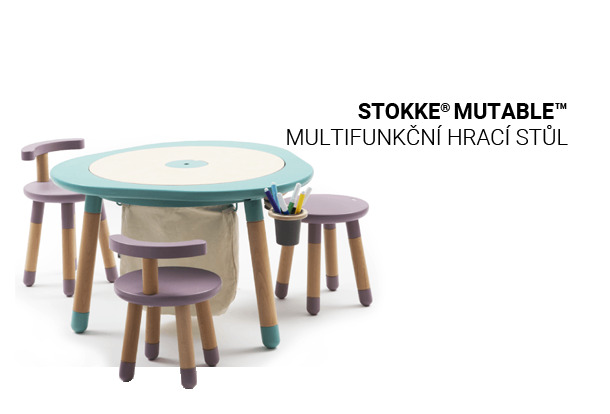 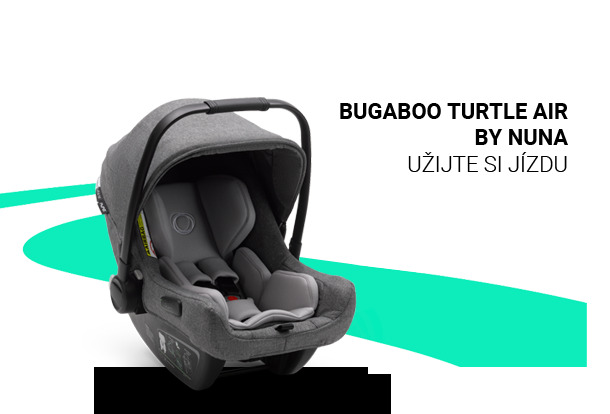 Suitable from birth to 15kg/55lb, the cosy stroller comes with a head hugger and shoulder pads, and a coordinating luggage tag.